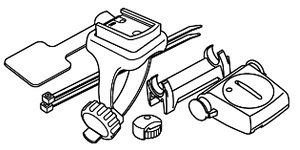 AmTryke offers various Tools and tryke Parts to help riders with riding maintenance. For older model Amtrykes with hard rubber tires we no longer carry replacement parts. Previous generation Amtrykes (AM-12 & AM-16) please call for availability and pricing of parts.